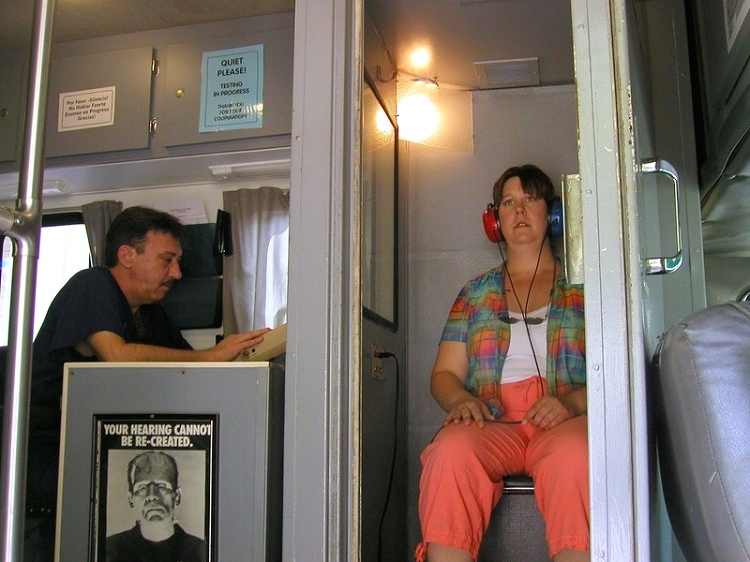 Hearing tests are required when exposing employees to noise levels above 90 dB is dangerous. Industrial Paramedical Services hearing Tests conform to all OSHA requirement. DESCRIPTION OF MOBILE MEDICAL SERVICES provided by IPS including details of testing procedures and reporting features. I. All medical services will be performed on-site in mobile Medical units at locations as designated by your company. Make-up tests for absent employees will be rescheduled as necessary with no additional service charges. B. ACOUSTIC SYSTEM RE131 - Audiometric Room. 1. Complies with OSHA Regulation 29 CFR 1910.95a & b.
a. Performed by I. P. S. Certified Audiometric Technicians in sound-proof audiometric rooms using clinical audiometers. b. Individually administered to assure personalized attention, maximal accuracy and minimal "down-time". Using clinical audiometers, rather than self-recording instruments such as those used for group testing, eliminates the need for "retests" due to inaccuracies and discrepancies. c. Hearing thresholds tested - six frequencies: 1. 500, 1000, 2000, 3000, 4000, and 6000 Hz. 1. Audiogram (contains 8 years of records per report form), uniquely designed to promote employee self-enforcement of proper and effective hearing protection. 2. Employee analysis reporting form. Click here to fill out a Free quotation request form online. 2. Records included: a. Pulmonary function test record (contains 6 years of records per report form), uniquely designed to promote employee self-enforcement of proper and effective respiratory protection. 3. Reports include:a. Actual findings b. Analysis and comparative results + Recommendations. 1. Are comprised of a master employee list containing present health status and comparison to previous years as well as additional printouts highlighting employees that exhibit significant changes or abnormal health conditions. 2. Are customized to include any additional information or categories as desired. 3. Pre-existing data will be used for comparative purposes at no additional charge. 4. Test records and computerized analyses are returned approximately four weeks after completion of each testing session. 2. Educational Pamphlets: Are specifically designed for quick and easy layman comprehension. Audiometric: Discusses noise, terminology, audiometric testing, types, use and care of hearing protection. Excellent supplement to video, answering most frequently asked questions. Pulmonary Function: Discusses air pollution, terminology, lung function, spirometric testing, and additional information about respirators, including use and types. Answers most frequently asked questions. 1. Audiometric test individually administered using clinical audiometers) with evaluation, comparison and written recommendation. 2. Management reports include computerized analysis, individual hard-copy medical test records, and individual employee results form. 1. Pulmonary function test individually administered with evaluation, comparison and written recommendation. 3. Quiz & Certification of Training Forms:. Quickly and easily evaluates employee knowledge and understanding of your Personal Protective Equipment programs. Available in several different test formats. 1. I.P.S. provides professional support and consultation in the event of any litigation involving compensation for claims. 2. Support may include a. Testimony, expert witness, or documentation of testing methods, certifications or results. 3. Consultations for above, or additional services may be provided at a fee per service. Hearing Tests: Audiometry is used to check how effective your hearing conservation measures are. It is needed if employees are exposed to high noise levels. 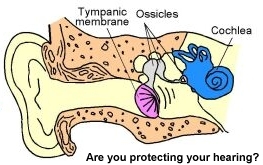 Screening audiometry is compulsory for employees exposed to 85dB(A) (daily average exposure) and above. Typical clients are in the metal stamping and fabrication industry, timber, plastics molding, packaging, aero-space, Petroleum, textile, paper mills, printing, raw material and construction industries. Audiometry is the control mechanism to check the effectiveness of your hearing conservation programs. It is an early warning system, which enables the employer to take steps to reduce future harm. Claims for noise-induced hearing loss are still the most common occupational health (compensation) claim and audiometry will control future claims by informing those at high risk to the benefits of wearing protective devices. 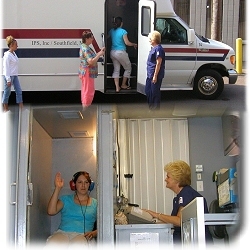 Our IPS mobile hearing test Vans are all equipped with soundproof booths and clinical audiometers. We can perform 2 hearing tests every 5 minutes, or approximately 25 per hour. Employees with noise-induced hearing loss are identified, as are any changes which may have occurred since a previous test. Non noise-induced hearing losses are also recorded. You receive the audiogram for each employee, with the individual evaluation, as well as a complete management report. Each employee receives a written explanation and protective recommendations. Mobile Hearing Tests are the most convenient and cost effective way to protect your noise exposed employees hearing! Industrial Paramedical Services has been providing complete Multi-Phasic Mobile health testing services to over 800 Midwestern plant facilities since 1975. We specialize in providing on site hearing tests for your employees utilizing or copyright protected audiogram recording reports. Our clients include major manufacturers in the automotive, utilities, construction, petroleum, aero-space, airport workers and metal fabricating fields. Our exclusive designed 8 year audiogram record chart can be easily folded into a quick visual aid in educating your employee to how well they are protecting their hearing. Early detection of hearing loss can alert both parties to the need for using better hearing protection devices like combining ear plugs with ear muffs. IPS also can furnish your company with easy to comprehend literature, and videos, as part of a complete health and safety education program. 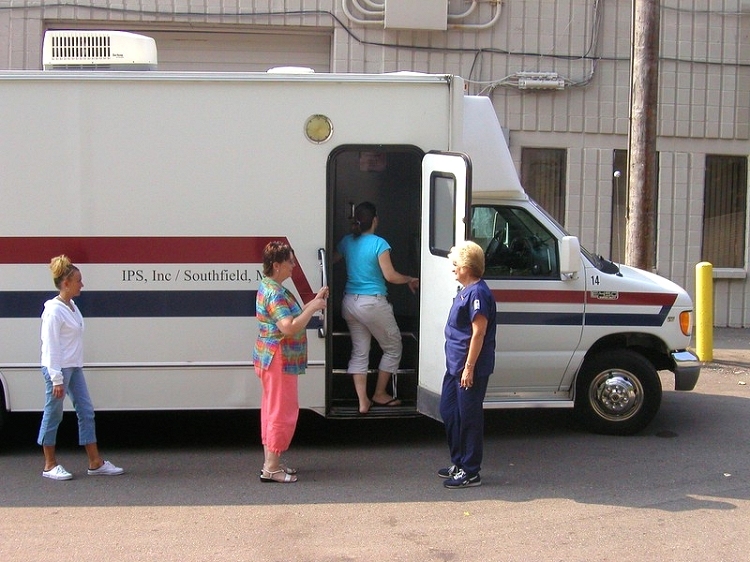 Schedule a hearing and pulmonary functioning tests right from our state of the art mobile Health testing lab vans that operate in 4 Midwestern States (MI. OH. Ind. Ill.) Give us a call and get a Mobile Hearing Test proposal or arrange a courtesy Mobile Medical Testing Lab visit. We have been serving hundred of Midwestern facilities since 1975. Appointments are being accepted for new client factories in Michigan, Ohio, Illinois and Indiana. Our clients include major manufactures in the utilities, food/beverage, gun shooting ranges, petroleum, metal stamping, aero-space and all industrial manufacturing fields.One of our main objectives is employee understanding of test results so that they will self-enforce appropriate health and safety protection.